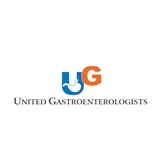 UNITED GASTROENTEROLOGISTS (Irvine) - Book Appointment Online! The mission of United Gastroenterologists is to improve the health of our community by setting the standard of excellence in patient care. Specifically, we aim: To provide the highest quality compassionate care and service for all people in the prevention, diagnosis, and treatment of digestive diseases To attract a team of physicians and other health care professionals of the highest moral character and greatest skill To be the premier gastroenterology practice in our region with a dedication to achieving the highest levels of patient satisfaction while implementing continued process improvement To provide our patients access to advanced cutting-edge gastroenterology services by leveraging our group’s resources and close relationships and affiliations with University medical centers in the region. Dr. Hong is one of the nicest, most professional, most thorough Dr's I have ever met. He took his time, did not rush the appt, explained every single possibility in detail, ordered complete tests and was very open minded and positive. I truly wish more Dr's had the same professionalism, and bedside manner as Dr Hong.